How to Catch a Star by Oliver Jeffers | What is ML Reading? The most current picture book Oliver Jeffers illustrated, The Day the Crayons Quit is number one the New York Times Picture Book Bestseller list this week. Drew Daywalt is the author. We read it and enjoyed it. You will hear more about it in a future blog posting about children’s books including examples of writing letters. An almost lost art form in our email society. 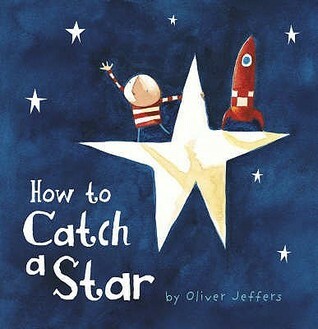 We want to know if Oliver Jeffers ever caught a star like the boy in the book. This entry was posted in Picture Book and tagged How, How to Catch a Star, Oliver Jeffers by mlreads. Bookmark the permalink.